Here is a small assortment of iPhotography Course reviews selected from the thousands of testimonials, impartial reviews, comments and Success Stories we frequently receive from regular people who are taking iPhotography Course. All comments, testimonials and reviews have been verified by impartial review services including TrustPilot.com and ReviewTrust.com. Well done and thank you to all the team at iPhotography. I have just finished reading through Module 6 and taken some time to practice shots for the assignment. I have learned so much in this course so far and I can’t thank the team who put this programme together enough. It is done so logically and simply the even I can follow it, albeit with time and patience. I even had my wife trying to spot leading lines when we went for a walk recently. It was fun doing this together. I now have my brother in law hooked and enrolled on the course. I spent time showing him how it all worked and what I have learned. When I look back through some old photo files I also realise how many of them fit into one of the modules 4-6. It shows I knew more than I realised and I was able to automatically take some good photos before starting the course without realising it. Now these old photos make more sense. Thanks also to Rebecca (tutor) who has encouraged me no end with her comments on my previous two assignments. She has obviously studied my photos properly and made extensive comments that are so helpful. Her points for improvement are spot on and have enabled me to look critically at photos I have already taken and at what I am now taking. If you get time take a look at 6 I posted on page 12 of the February gallery. Apart from the pigeon, these were taken before I started the course. The pigeon was for my Module 5 assignment. Thanks. I am so looking forward to the rest of the modules and comparing notes with my brother in law as he progresses through the course too. I would like to share a little of my journey since signing up with iPhotography™, as your course has played such a major part of the the most significant point of my life. The focus and drive I had from the very beginning of this course has never seemed to stop. My photography has been improving month on month. With no pre-thought or intention, a style seems to have developed with a celebration of the magic of life, and this obviously centers around my family and has starburst beyond, to keep me far too busy to have time to be ill. I quietly battle my disease daily but I am looking beyond this. The news of my award with iPhotography has come almost simultaneously as being accepted as a provisional member of BIPP (British Institute of Professional Photographers) giving me 12 months to put forward a portfolio to secure my licentiateship. I am so excited, but feel I will need to push myself very hard to achieve the high consistent standard needed to be a BIPP member – hoping for some tough critique from all of your tutors from now!! I cannot begin to imagine where I would be without the focus of my photography and I do thank you all at iPhotography for setting me off on this journey. I would also like to thank you all for your on-going support and dedication you give to all your students. Well done all of you, keep up the great work. “I enjoyed and gained from the course, particularly the later modules. I think that the course is well structured and suitable for beginners or intermediates. I think I missed out by not submitting more work for the assignments. When I did so, I was very impressed with the quick and useful responses from Geraint. 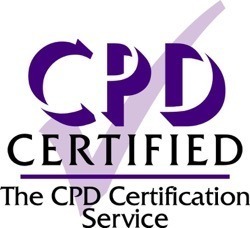 iPhotographyLightTricks.com has also been awarded with exemplary accreditation by CPD (Continuing Professional Development). The CPD Certification Service has provided a formal, independent certification of our training materials and development activities. It’s always a massive encouragement to hear that my work is really appreciated amongst peers and being chosen for this has given me another confidence boost and to strive to expand my knowledge in photography. A little about me. I am 35 years old, married and have a 11 month old son called Ethan, who luckily loves posing for the camera. My passion for photography came from watching my Dad turn our bath room into a developing lab for his old film DSLR. I love photography because it allows me to show how I see the world through my eyes. Animals have always been my main focus but I try to dabble in all areas of photography. 2016 was an exceptionally good year for me, what with the birth of my Son Ethan, who will be a year old in Feb!! It was also another good year in Photography for me too, what with winning Runner up and being commended for 3 photos at in the Marwell Zoo 2016 Photographer of the year award, and then on top of that, I was chosen to win the Case Study competition that was run on the Iphotography course. To top that off I was shortlisted for this competition. Not bad if I do say so myself. Starting off 2017 by winning the Outstanding Contribution award has kicked off my year to a great start, which has pushed me to achieve more for this year. I also plan to set up my own website to showcase my photography and try to establish myself further. Another goal of mine will be to actually complete this course too! I have dipped in and out of the course modules since ( I think) 2013! That’s the great thing about this course it allows me to fit studying around my hectic life. I am also looking forward to studying the new course that I have won access to and start learning techniques to help me make money from my photography. Not to worry though, even after completing the course I will still be in the gallery and forums as it is such a great photographic community that has been established within the course; I will continue to help and share knowledge that I have gained through my own experiences to help encourage fellow students. I would like to say a big thank you to all the tutors for their continued support and encouragement over the years, but also to my fellow students who have offered support and constructive feedback within the gallery. I find reading other people’s views and feedback is invaluable when pushing to better yourself. Thank you all once again and I am looking forward to purchasing a new wide angle lens with the voucher and really looking forward to putting my Trophy on display at home and showing it off to family and friends. Let me say how much I enjoyed iPhotography Course and the professional manner in which it is presented. When I started the course I had been taking photographs for 55+ years and had already successfully completed an NCFE Approved course on digital photography. However, I was extremely impressed by the quality of the website, and how easy and instinctive it is to use; also the responsiveness and helpfulness of the tutors. The camaraderie encouraged between students through the forums and the Gallery is also good, and a lot of useful ideas have been gained just by looking at the work of fellow students – much of which is outstanding. The course structure is good and the depth and variety covered by each of the individual modules is very in-depth; they all contain a wealth of information and insights which will stand me in good stead. I will continue to login, and I wouldn’t hesitate to recommend iPhotography Course to others. Many, many thanks. Ready to supercharge your photography skills?